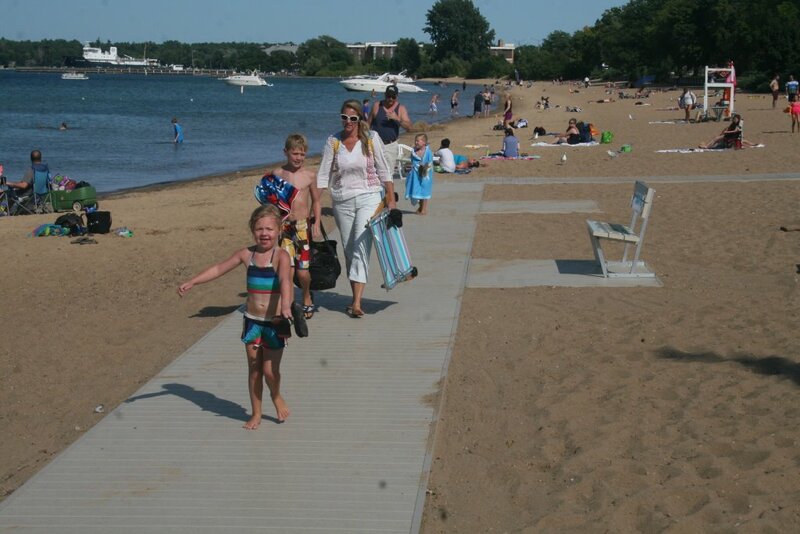 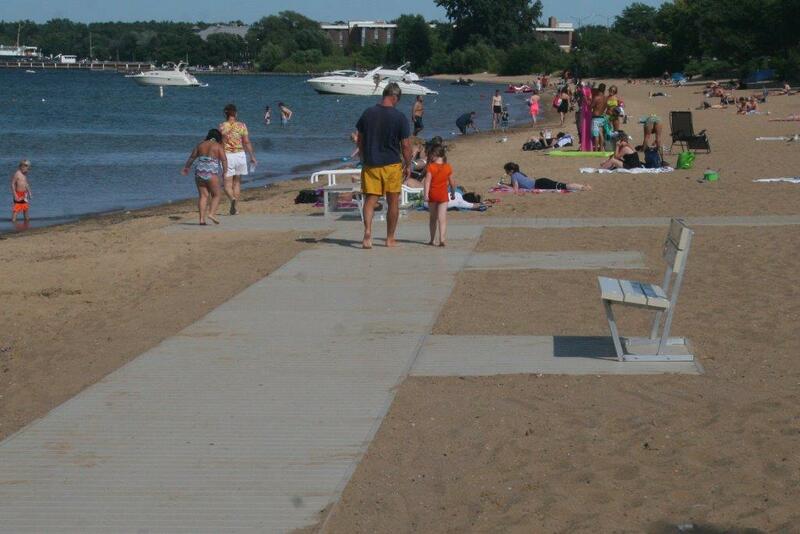 Brand new, beautiful ADAWALK walkway system installed at Clinch Park in Traverse City, MI. 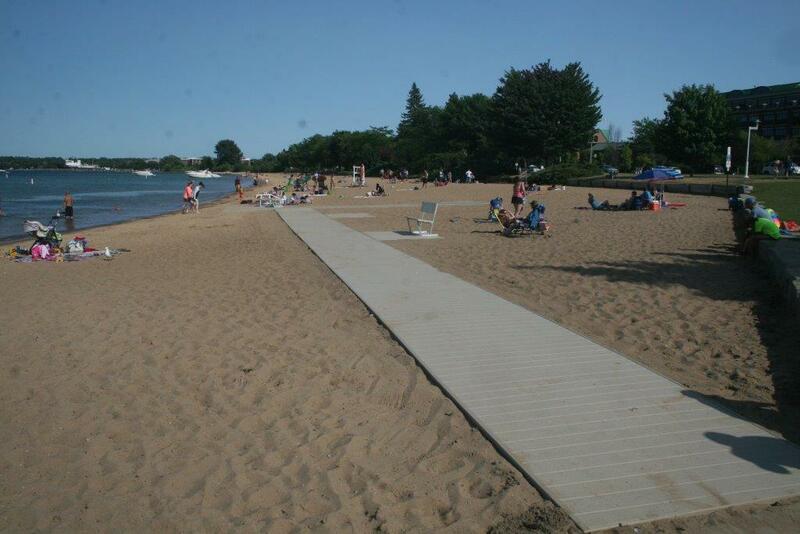 Wheelchair beach transfer station included! 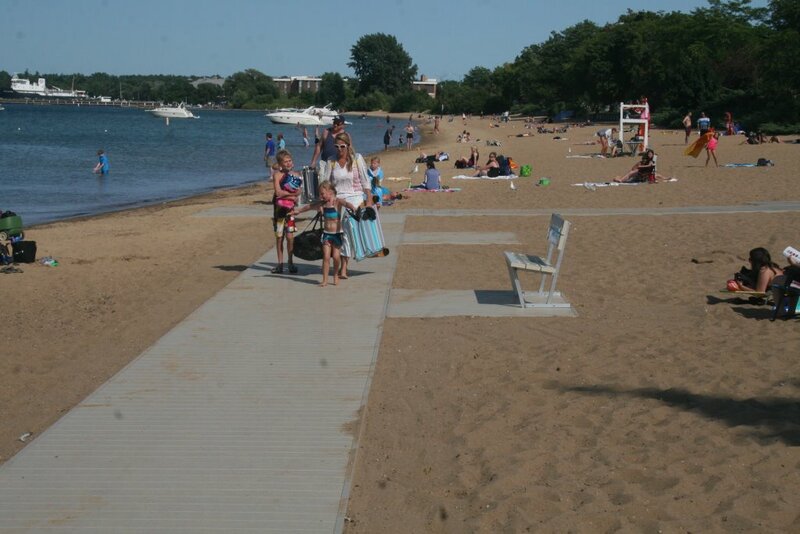 A wonderful accessory that allows access down to the sand, or water in some applications.